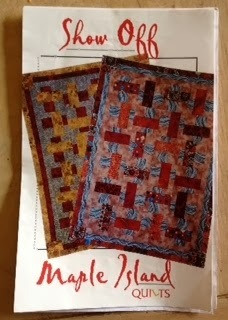 I’ve made a lot of progress on two of the three quilts I’ve been working on. Everything is taking more time than I expected, because I have a fracture in my left sacrum. Which means, sitting, standing and walking for too long a period of time means a lot of pain in my lower back and tailbone. But the big bummer, is that I had to cancel our plans to attend the International Quilt Festival 😦 I was looking forward to this for many months, and was really excited because I’ve never been before. I was so organized about all the workshops I signed up to take. So I’ve finished 90 squares for the Show Off Quilt, in king size. 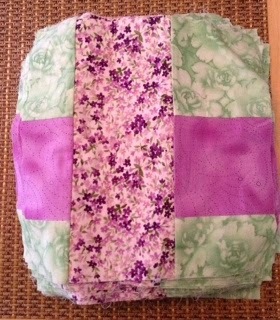 Yup, I make alot of king size quilts, for us, and make baby, twin, full size, queen size mainly for clients. I’ve squared of 30 squares so far. And, my teddy bear quilt is almost finished. Just the binding left to go. Next week I’ll be starting two new projects, and am really excited to share them. 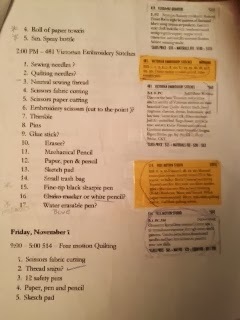 And of course, please leave a comment in the comments box, telling me what your favorite quilting magazines are, or if you don’t read them, tell me what your favorite part of the quilting process is. Monday, October 28 is National Chocolate Day, and in conjunction with Chocolations, http://www.chocolations.com, we will be giving away a box of yummy bon bons, truffles and bark. On Tuesday, we will announce the winner. Good luck!! 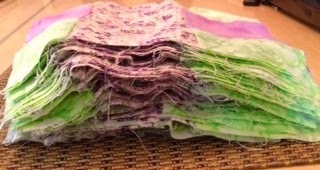 And, don’t forget to stop by Green Fairy Quilts, http://www.greenfairyquilts.com. They are having an amazing sale on jelly rolls.